BRUSSELS - Theresa May looked “despondent”, with deep rings under her eyes, EU chief executive Jean-Claude Juncker told aides after dining with the British prime minister last week, a German newspaper said on Sunday. The report by a Frankfurter Allgemeine Zeitung correspondent whose leaked account of a Juncker-May dinner in April caused upset in London, said Juncker thought her “marked” by battles over Brexit with her own Conservative ministers as she asked for EU help to create more room for maneuver at home. No immediate comment was available from Juncker’s office, which has a policy of not commenting on reports of meetings. The FAZ said May, who flew in for a hastily announced dinner in Brussels with the European Commission president last Monday ahead of an EU summit, seemed to Juncker “anxious, despondent and disheartened”, “a woman who trusts hardly anyone but is also not ready for a clear-out to free herself”. 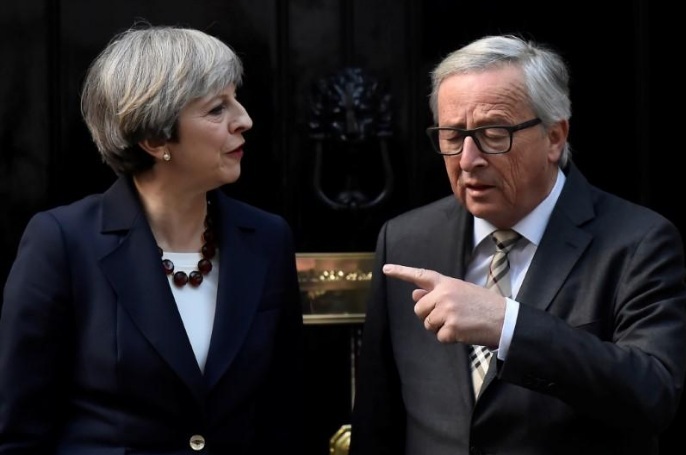 As with the April dinner at 10 Downing Street, when the FAZ reported that Juncker thought May “in another galaxy” in terms of Brexit expectations, both sides issued statements after last week’s meeting saying talks were “constructive and friendly”. They said they agreed negotiations should be “accelerated”. May dismissed the dinner leak six months ago as “Brussels gossip”, though officials on both sides said the report in the FAZ did little to foster an atmosphere of trust which they agree will be important to reach a deal. German Chancellor Angela Merkel was also reported to have been irritated by that leak. Although the summit on Thursday and Friday rejected May’s call for an immediate start to talks on the future relationship, leaders made a gesture to speed up the process and voiced hopes of opening a new phase in December. Some said they understood May’s difficulties in forging consensus in London. Theresa May looked “despondent”, with deep rings under her eyes, EU chief executive Jean-Claude Juncker told aides after dining with the British prime minister last week, a German newspaper said on Sunday. The report by a Frankfurter Allgemeine Zeitung correspondent whose leaked account of a Juncker-May dinner in April caused upset in London, said Juncker thought her “marked” by battles over Brexit with her own Conservative ministers as she asked for EU help to create more room for maneuver at home.